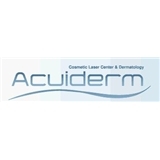 Acuiderm Cosmetic Laser Center (Flushing) - Book Appointment Online! At Acuiderm Cosmetic Laser Center & Dermatology in Flushing, NY we offer safe, “results you can see” cosmetic and dermatologic treatments. James J. Cui, M. D., Ph. D. is a Board Certified Dermatologist with over 20 years of cosmetic and dermatology experience. BOTOX®, Restylane®, Juvéderm™, Laser Hair Removal, Chemical Peels and Skin Rejuvenation are just some of our services. We also offer Skin Lightening, Acne Treatments, Microdermabrasion and Chemical Peels. We treat a wide range of skin conditions. such as Melasma, Sun and Age Spots, Acne and Moles. Acuiderm’s cosmetic treatments have minimal to no downtime. Cosmetic Consultations are Free. Be renewed and find the new you!